Since 2012, Hub & Spoke has had a relationship with the University of Missouri, working on numerous projects for both the System and various individual schools. This is just one example of the work we've completed for them. 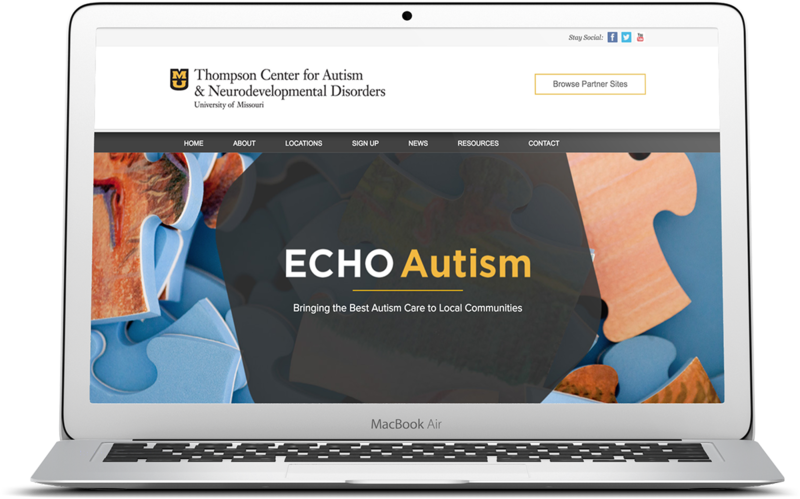 Working closely with the Thompson Center for Autism & Neurodevelopmental Disorders, part of University of Missouri Healthcare, we created a sub-site for the ECHO Autism training initiative to help educate medical professionals. Without an existing website, ECHO Autism approached us to create a sub-site for it within the Thompson Center's existing Wordpress installation. This unique position, creating a site within a site, led us to develop the theme using special Wordpress coding techniques to ensure the theme files stayed separate. 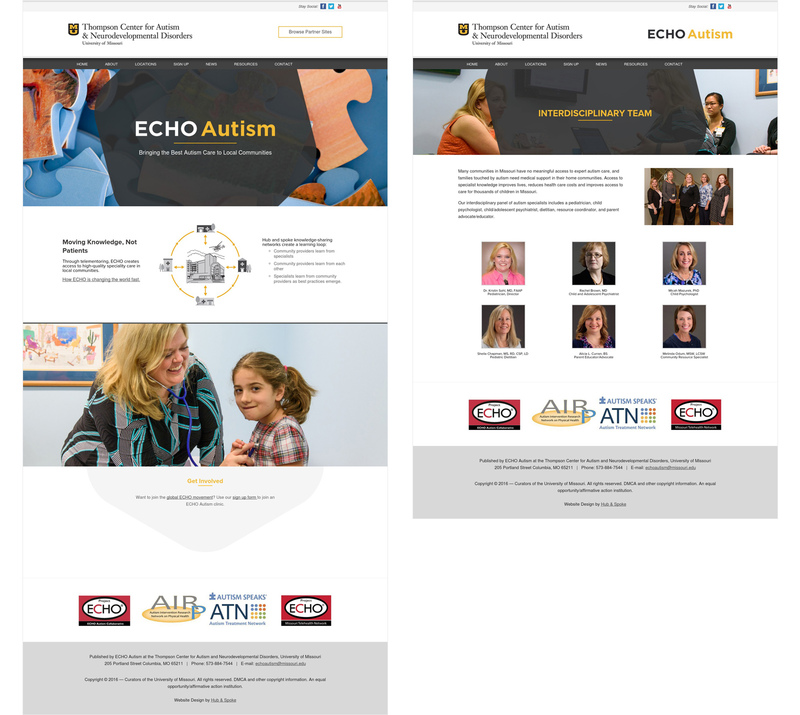 From there, we worked to match the websites design to the brand standards established for ECHO Autism by the University of Missouri, including the use of the Autism puzzle piece and large photography.